So on to the next steps. Even on the stirplate, it still puts up quite a bit of crausen. I have gotten the amount of yeast I want, but I don’t want to pitch 1/2 gallon into each carboy. 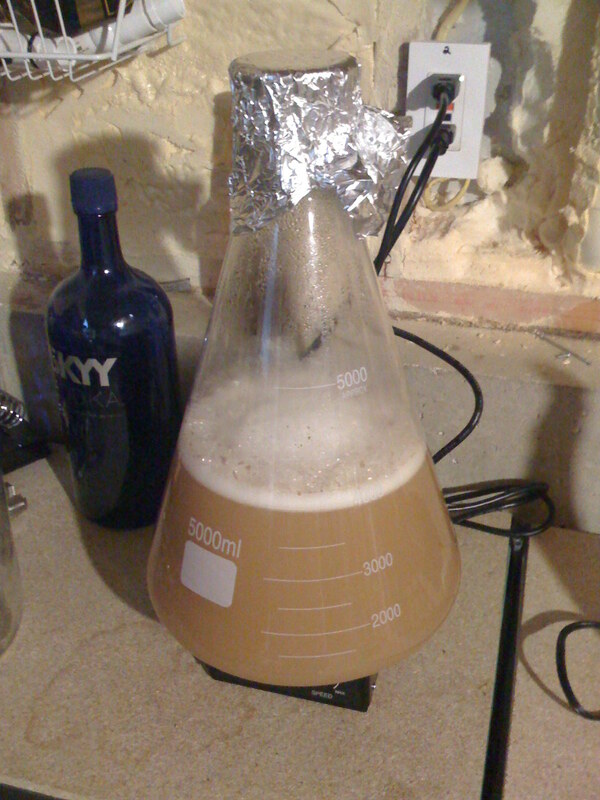 This is why I got the starter going with some time to spare before brew day. I can now put the container in the fridge, and by Sunday all the yeast will have settled to the bottom. 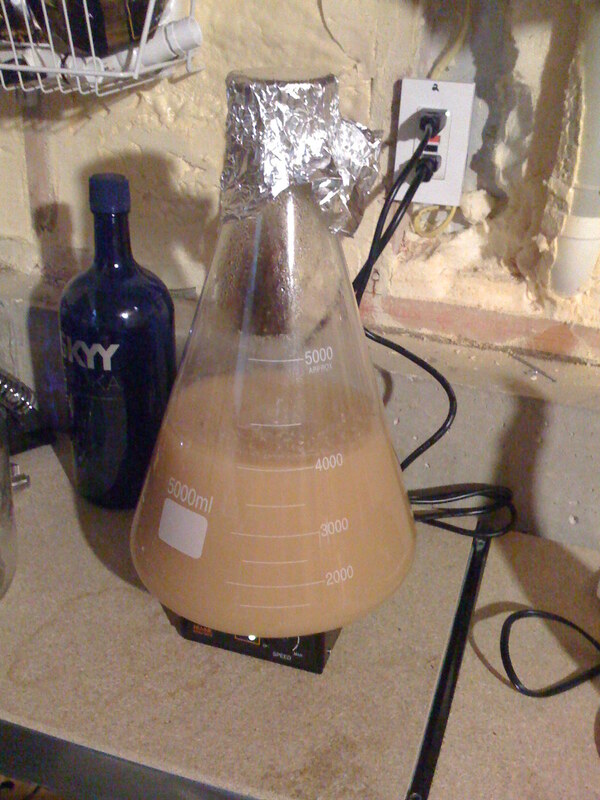 When I’m ready to pitch I can then decant all the spent wort save about 1 liter and split that between the two carboys. Depending on the flocculation properties of the yeast, this can take anywhere from 1 to 4 days or so. This particular strain is very highly flocculative (is that a word? ), so it will drop out relatively quickly. That’s all for now. I will be posting the recipe that I’m brewing on Sunday along with some pics of the actual brew day. ~ by kungfool on April 24, 2009. Notice your heating your Erlenmeyer flasks directly over burner. From what I understand the flasks are made to be heated over flame, although I have heard reports of them breaking on electric stovetop burners.